Thoughts, stories from the studio, and reasons for inspiration. 70 years ago these design tenets signaled a new age and a fresh start. Designers such as Frank Lloyd Wright, Charles & Ray Eames, Le Corbusier, and Raymond Loewy designed with the idea they were making a better world, bringing greater simplicity and pleasure to the lives of ordinary people. 20 years ago they inspired me as a student, studying the origins of industrial design as a freshman at Georgia Tech. 20 years later, the idea that "less is more" remains a constant thread through my work. An elegant shape marries practical functionality to create good design. The ENSO Collection was inspired by my passion for designing beautifully functional things. 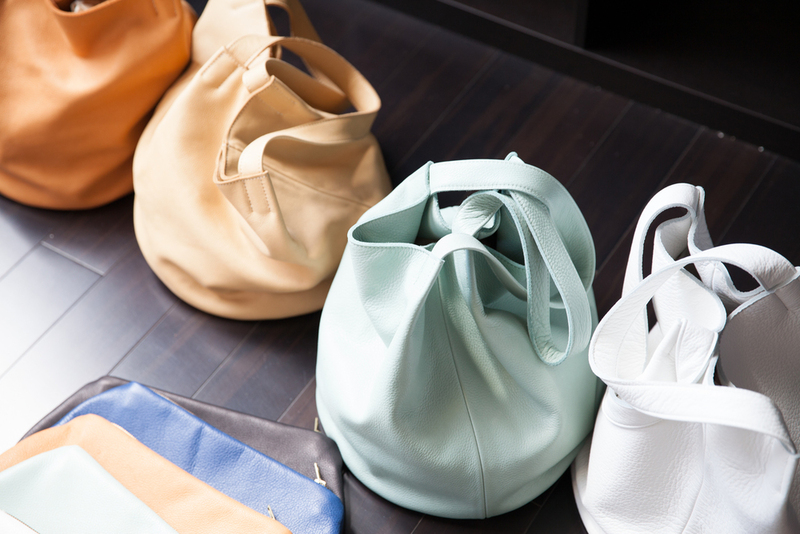 Bags that fulfill practical & everyday needs, in an incredibly stylish way. Free of hardware and excessive detail, the designs are organic and simple. Enso is a Japanese word meaning circle. In Zen Buddhism the enso symbolizes strength and elegance. Each piece in the ENSO collection incorporates a full circle in its design. Known for thoughtful simplicity in their design style, Japanese tradition was a natural inspiration of form.